With the unfolding of the nuclear disaster in Japan, which followed the earthquake and tsunami that overwhelmed GE's engineering, there has been a lot of near panic - except by the Japanese people. So for those of you who are "concerned" and especially for those who are "really, really concerned" and who do not trust the MSM (mainstream media for those who are a little behind the curve...), here is the straight skinny from MY radiation monitoring equipment. First, a note on preparedness. I was in Boy Scouts of America Red Sea Troop 1, based out of Jeddah, Saudi Arabia back in the latter half of the sixties. That's where I adopted the BSA motto, "Be prepared." 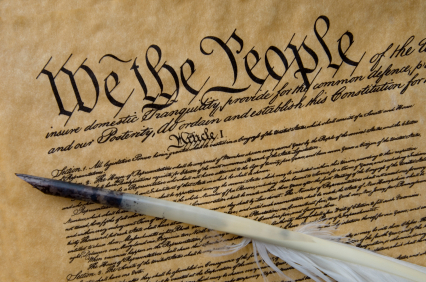 I also believe it is the duty of an American citizen to be involved in self-government, otherwise it is a government of people who may not be quite as concerned about someone else's rights as we might require them to be - in order to be free. So, that's why I have radiation monitoring equipment, a ham radio and various other tools anyone intending to be self-sufficient might have. 1/20/2014 12:00:00 AM 0 0.04 Up by 4X from baseline. 1/10/2014 12:10:00 PM 0 0.03 3X normal. Also NukAlert ticking rapidly. 1/14/2012 12:00:00 AM 0 0.08 With multiple checks, I'm confirming the increase. 3/30/2011 12:00:00 AM 0 0.015 Could be up a very small amount. No alarm from my NukAlert. However, I am getting a very slight reading in the upper sensitivity range of my CDV-717. On the X0.1 setting I'm seeing a .1 rise in the level of radiation which is so low that it's really hard to tell if it isn't a by-product of the circuitry of the instrument. On the news last night I heard that radiation detection equipment was set up (they didn't say where, but it was the local news on KDVR, a Fox station...) and that it was registering a very small amount of radiation. So, my detector may be showing that very small increase, which confirms that between the radiation detector reported on the news and my meter, we are getting a very small dose - and may also confirm that my equipment is working properly and that I know how to use it. 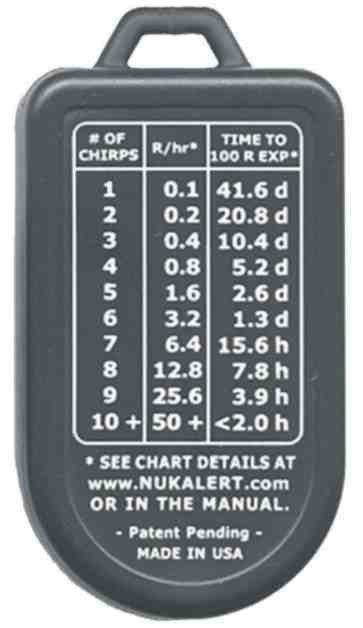 Using the scale on the back of the NukAlert, you can see that at 0.1 R/hr (Roentgens per hour), it would take 41.6 days to get an accumulated dose of 100 Roentgens, well within the ability of the body to repair itself and stave off mutagenic effects of ionizing radiation. My reading, if accurate, shows that the hourly dosage may be at .01, meaning that it would take 416 days to get a total cumulative dose of 100 R (Roentgens). Logically, at that level it explains why the NukAlert is NOT sounding off with alarm chirps. The level is too low to detect by the NukAlert and is only showing on the more sensitive CDV-717 at its most sensitive setting. Again, this is nothing to worry about. That much radiation might be due to our altitude and relatively thin atmosphere that blocks less solar and cosmic radiation than the thicker layer of air over lower elevations, or it may be an artifact of the circuitry of the monitor because at that low level, it is difficult to tell. I will take another reading around noon, unless my NukAlert spikes before then.